I was laid off from my job at the hotel and I went and I met Mr. Rawnsley. He checked to see what sort of talent I had and he saw that I could draw. They didn’t pay me right away, but I learned the technique pretty fast, so they put me on piecework. They would pay me for every piece I did that was of some sort of quality. I started getting a salary, and I met Brent Malone, Kendal Hanna, Vernon Cambridge and a lot of young artists. And that’s when I became serious about my art. MT: This was in the late ‘50s, when I just came out of school. I couldn’t afford to go to college, though I wanted to. Mr. Rawnsley was the one who was instrumental. “Max,” he used to say, “Draw every day.” And I tried to draw every day. AM: What did you draw at that time? MT: I was always interested in people – their feelings, their actions. Some of the artists I was pretty influenced by were Daumier, Francisco Goya and the Mexican artist Diego Rivera. I never had any interest in landscapes at all. I tried it but I always went back to expressing what I see in other people and how they went through life. 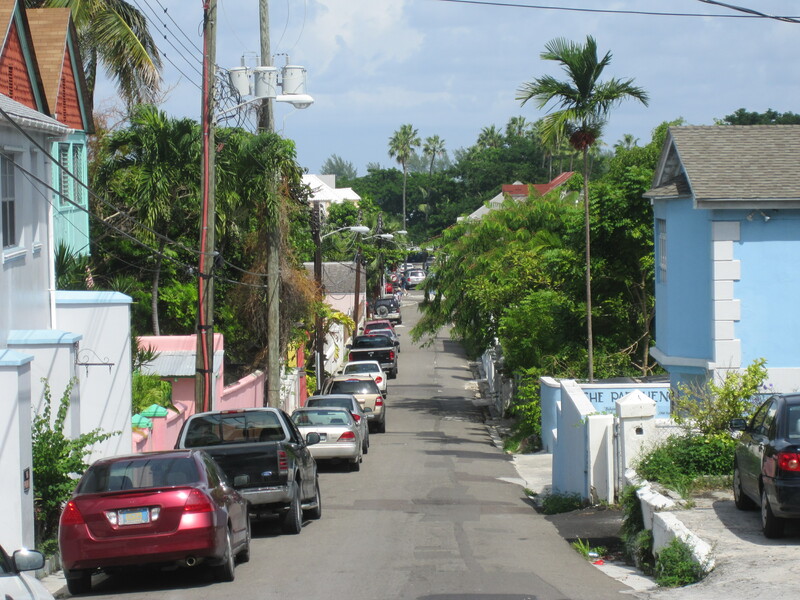 You have a lot of artists in Nassau who do landscapes and they’re doing quite well on it. I was never really drawn to that type of expression. AM: Tell me about how your painting developed. MT: I always had the ability to draw, but I did not have the ability to paint. We had an art teacher and his name was Don Russell and he came from the Art Students League of New York. So I used to go to his classes and I got some pointers from him. We had one bookstore that existed in Nassau and it was called the Moseley Bookstore, which was in Bank Lane. I used to get books from them. I used to buy books on Rembrandt, who was one of my favorite artists. I used to buy books on Diego Rivera. I also fell in love with Picasso – especially his Blue Period. I also fell in love with Braque and I just love the way Cubism works. And I used to practice all these different techniques because I’m self-taught. When a lot of kids are out there going this way and that way, I was in my studio trying to master these techniques. 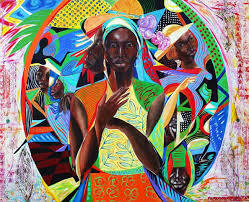 MT: In a sense, because I would have a lot of paintings saying “mother’s gone” because many Bahamian men would go from one woman to the next woman, getting them pregnant and leaving the mother to take care of the kids. I would do things where people are involved in politics, where people would be drunk on the bed and stuff like this. I changed the whole expression because there were things that existed – still exist – and a lot of things people didn’t want to see them. AM: Tell me about your travels during this period. MT: I always liked traveling. 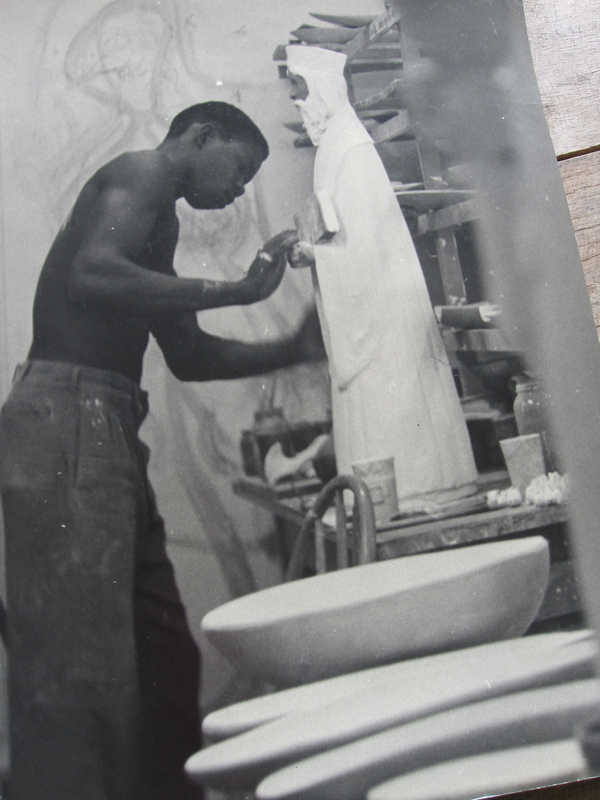 When I was at the Chelsea Pottery a lot of tourists used to buy my work, and with the salary that I was getting, I would put some away to save it. Every time I accumulated enough I would take a trip to Miami, and from Miami I would take a bus from Miami straight to New York. I would go to either the Modern Museum of Art or the Metropolitan. The Metropolitan was the first museum I ever saw and I was flabbergasted. When I was in Miami, this was the first time I experienced the signs “colored only” and “whites only.” But it didn’t bother me at all because I knew where I was going, and nobody bothered me. AM: How did you end up moving to New York? 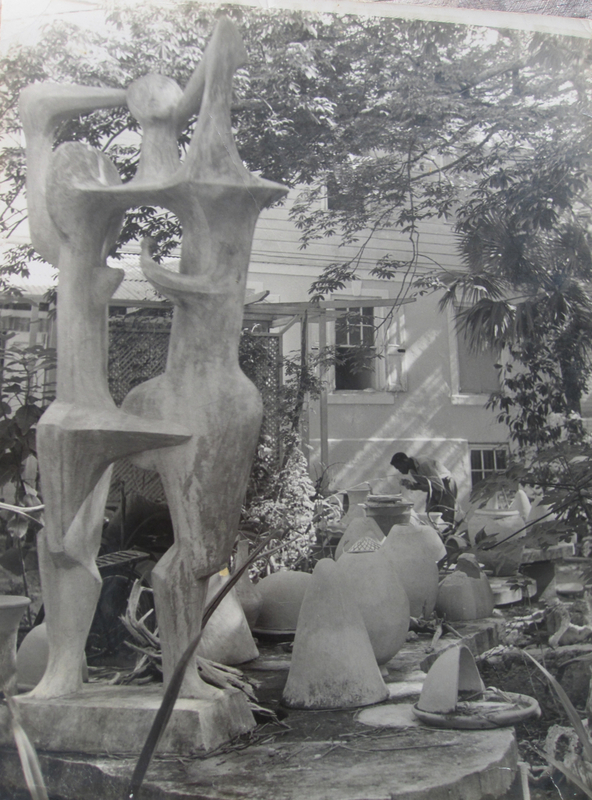 MT: When I came back to Nassau, the Pottery closed. There wasn’t much for me to do so I wanted to join the United States Army. I went and I filled out papers, and they said they would call me back. But while I was waiting, I was trying to get in school. At that time I didn’t have a degree and the school that accepted me was the Art Students League of New York. I didn’t know how in the world I was going to get the money because you had to show that you had sufficient funds to go to the United States, where you wouldn’t be a burden to anybody else. I had a very good friend – his name was Berkley Ferguson – and Berkley wrote out a letter saying that he would finance my trip. I went and I stayed there for about five years from one course to the next. I was also taking courses at Pratt Graphic Center. 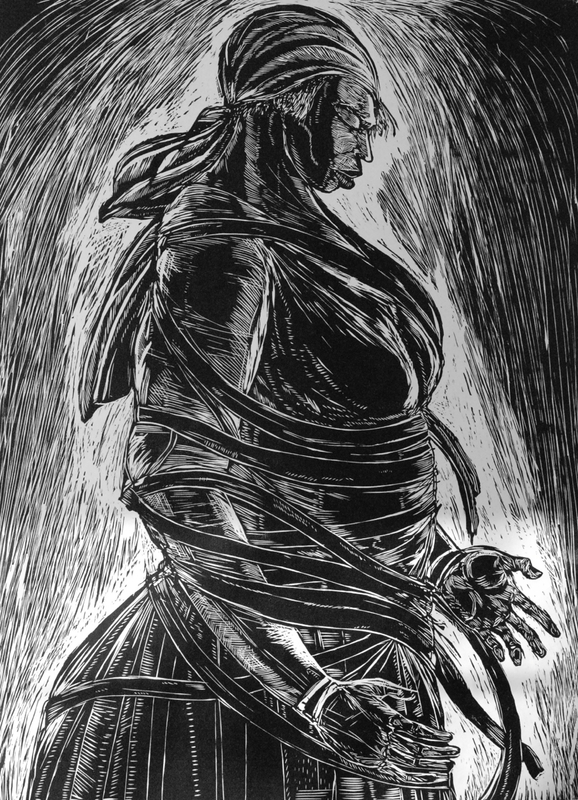 I also got interested in printmaking, which I still love. AM: What were some of the highlights of your career in New York? MT: In New York things were really working out for me. I was right at home in the sense that there were many other students who were just as serious as I was. 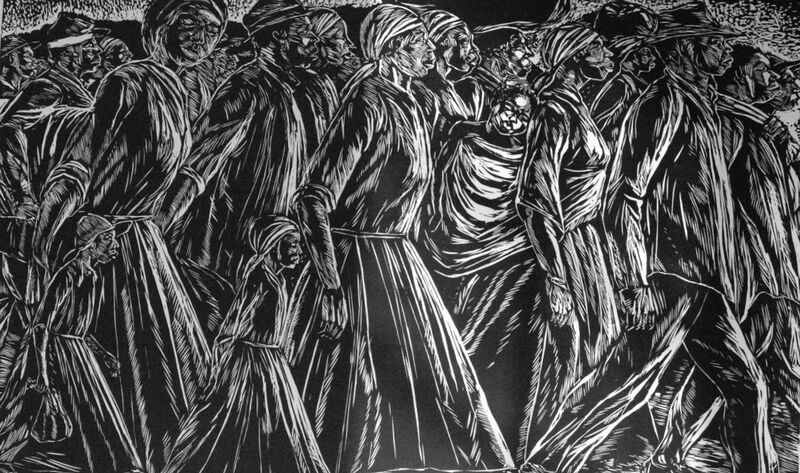 Roberto De Lamonica – one of my teachers – introduced me to woodcuts and that was the medium I stuck to. I loved lithography also, but the woodcut was a simple technique that I could even do when I was home. In New York I met Bob Blackburn. 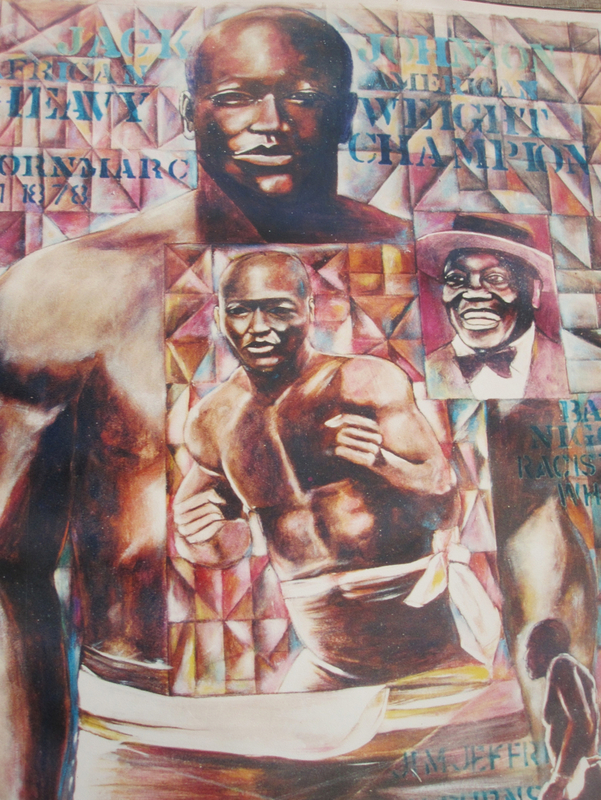 He was one of the first African American artists who had a printmaking workshop down on 14th Street. He took me in and I worked for him. I used to teach in the Bronx, I used to teach in Harlem. I also used to teach at Fresh Meadows, which was in Queens. I was getting known in the sense that galleries were asking for my work and I was exhibiting. But I had a family at that time, and my first wife, who died, wanted to go back to South Carolina. I stayed in New York about two years before I went back. I decided the kids were more important so I packed up everything and I went to South Carolina, which was a whole new game. AM: What were some of the recurring themes in your art during that time? MT: When I was in New York I was right in the center at the beginning of the African American identity. I was right there when there was Stokely Carmichael, Malcolm X and James Brown. I was in New York when Malcolm X got shot. 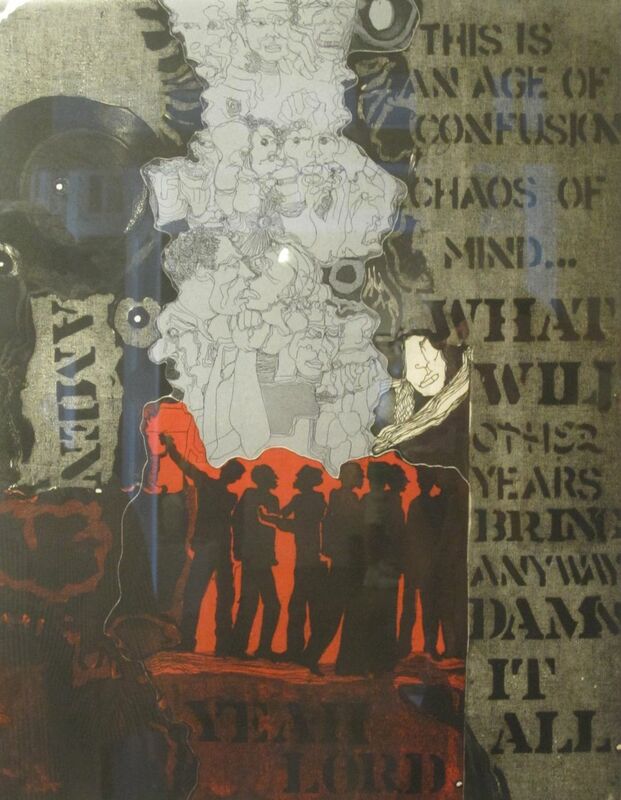 During that period, I did a considerable amount of things that were political satire – political expression. I was in an era when pretty things really didn’t matter. AM: Women appear often in your work. What is the reason for that? 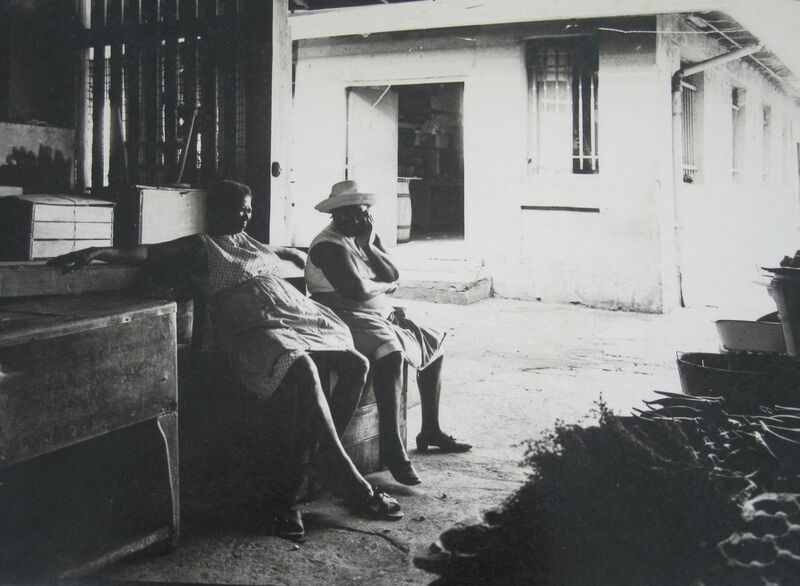 MT: My mother was instrumental in bringing me up, and growing up in the Bahamas most of the teachers were women. They were strong women – I got disciplined many times in school. So that’s why I really pay attention to women and give them the recognition, specifically my mother, who was a very mild person. I never heard her say a profanity in my life. So many times I’m just expressing how I felt to the person to whom I show gratitude. AM: What brought you back to the Bahamas after being in the United States? MT: Eddie Minnis, who was one of the first landscape painters of the Bahamas, was asked in the early ‘80s to do a summer program for kids. He called me in South Carolina and asked me if I wanted to teach the summer program. So I’d come down every summer to teach printmaking and painting. That’s how it all started with me coming back to Nassau every summer. I really saw a circle of very bright, intelligent students. Some of them now are better known than I am. 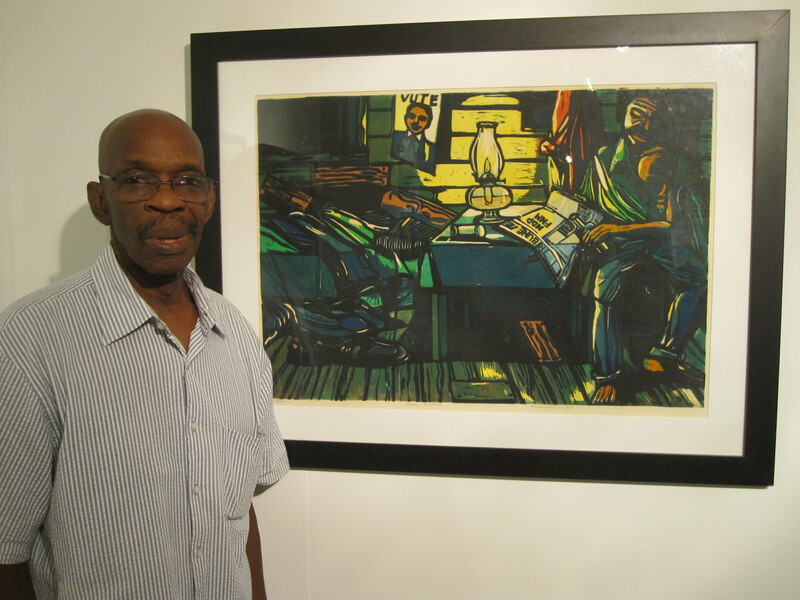 AM: What do you think of the current arts scene in the Bahamas? MT: Now in the Bahamas we have an influx of young artists – we have the College of the Bahamas, we have private school in Lyford Cay, we have all these students coming back and changing the whole concept of art. Right now the Bahamian public is not ready for what they’re saying, because we’re used to landscapes and lovely people dressed in flowers, and these kids are coming back with strong ideas, expressing themselves. AM: What are you working on right now? AM: You’ve also been working on some murals at the Grand Hyatt hotel. Tell me about that. 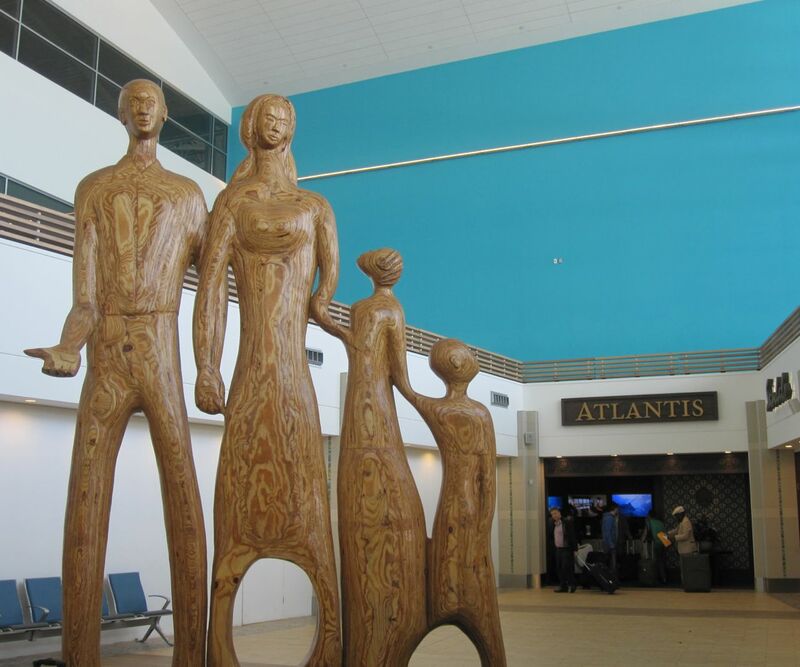 MT: Baha Mar is really focused on expressing Bahamian culture in terms of the visual arts. It’s giving a lot of young Bahamian and old Bahamian artists a chance to express themselves. They wanted me to do some very large pieces that consist of a lot of color. So I stretched my canvas, I put them together, and I looked at the whole spectrum of 12 feet by 8 feet. I had nothing in mind so I just started working, and it’s just amazing how it came out. There’s a lot of color, there’s gaiety, and that’s what they wanted. It was a really good opportunity for me to express myself. 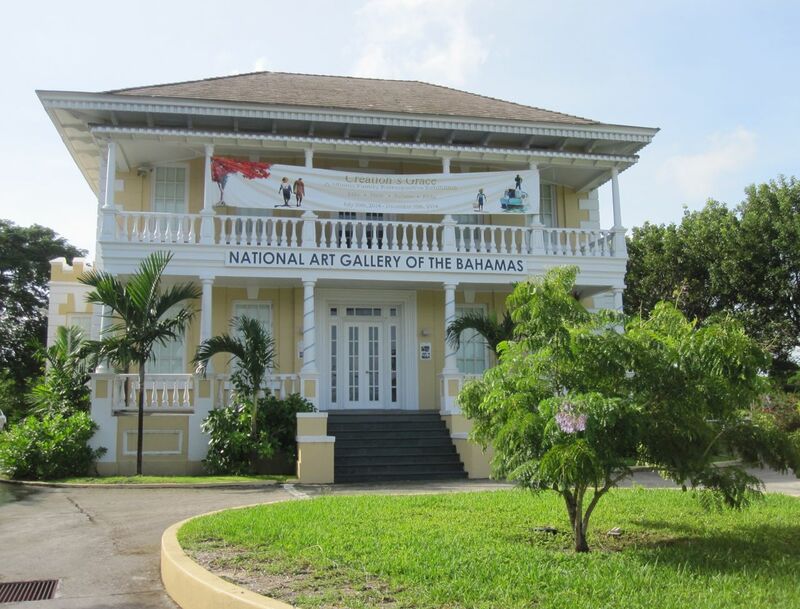 NE7 at the National Art Gallery of the Bahamas opens December 11, 2014 and runs until May 31, 2015. 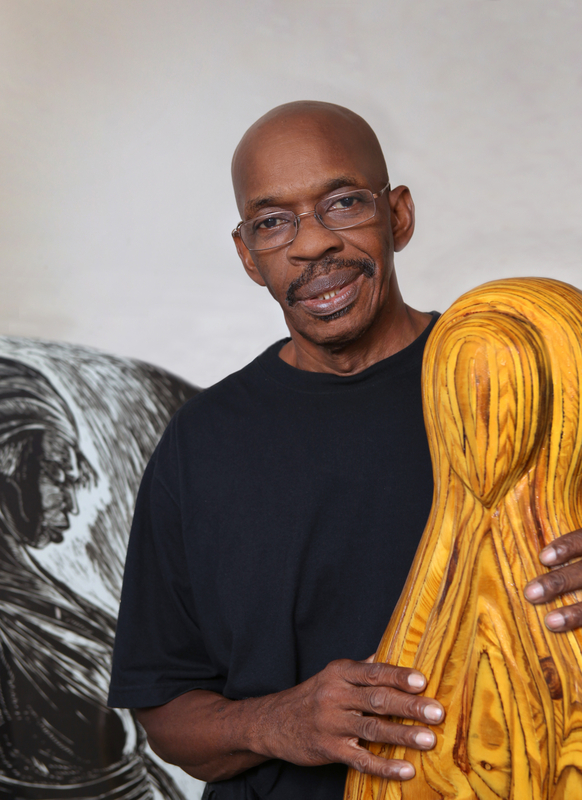 Maxwell Taylor’s works can also be seen in the Gallery’s permanent collection. His murals in the lobby of the Grand Hyatt at Baha Mar will be unveiled when the hotel opens in June 2015. For more information about Maxwell Taylor, please visit www.maxwellktaylor.com. 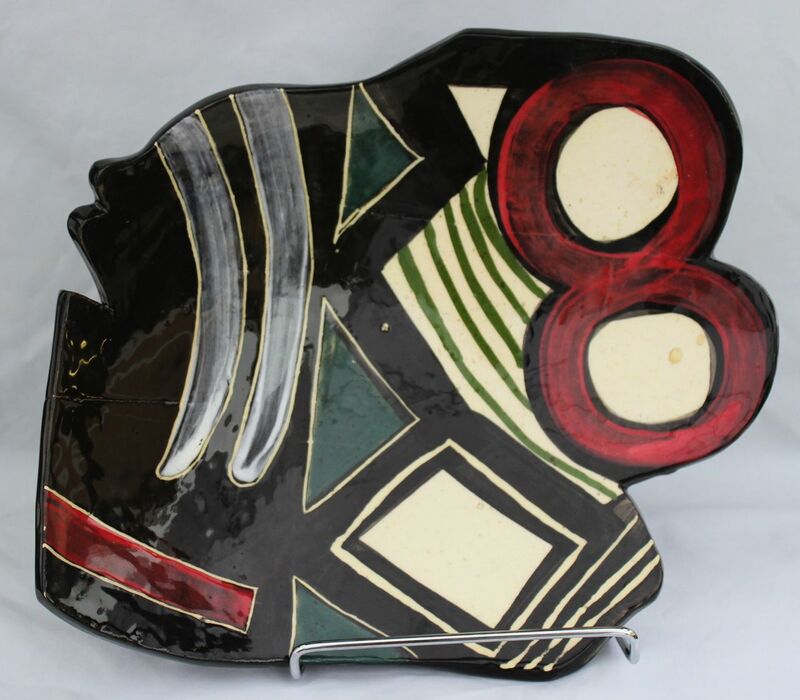 This entry was posted in ART and tagged Bahamas art, Bahamian artist, Bahamian ceramics, Bahamian sculptor, Chelsea Pottery, Nassau artist, Nassau ceramics, Nassau sculptor, National Conference for Media Reform. Bookmark the permalink.